Many people think KiDs Beach Club® is a school-year only program designed to connect kids to Christ and put Bibles in their hands. Well that’s correct… in part. With KBC Explorer’s Study Bibles in the hands of kids and now in their homes, boys and girls can continue what they learned in Beach Club. So, again this summer, KBC is providing a summer Bible reading plan for kids. 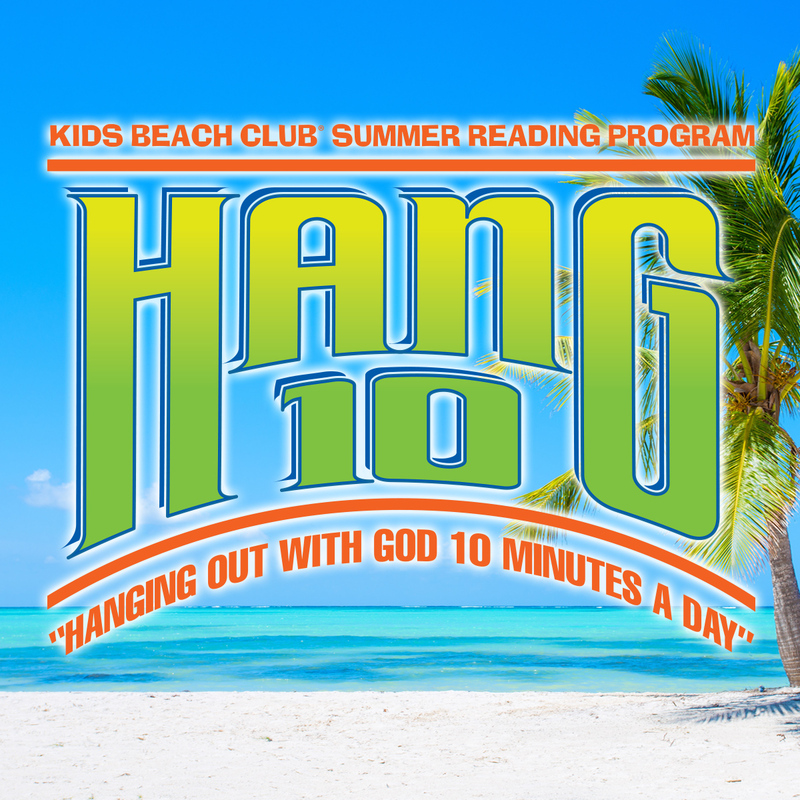 “Hang 10” is the phrase used by KiDs Beach Club® to encourage kids to hang out with God for 10 minutes each day in Bible reading and prayer. At the end of each club meeting, kids are given “Hang 10 Pages” to take home and use as a guide to spend time with God each day. Some clubs even offer prizes to kids who return their completed Hang 10 Pages to club the following week. The Hang 10 Summer Reading Program continues this purpose of building habits in kids of daily Bible reading and prayer. Follow our social media platforms where we’ll post each month’s Bible reading plan along with daily reminders for kids to read the Bible and pray. June – Reviews Bible stories and memory links kids learned during this past year. July – Reinforces the character words kids learned in Beach Club and connects those character words to God’s Word. August – Previews Bible stories and memory links coming in the new Beach Club year. Summer Bible Reading isn’t just for kids! We are encouraging everyone to “Hang 10” this summer. Parents, teachers and club volunteers can lead by example and spend at least 10 minutes each day with God through Bible reading and prayer. Look for the hang 10 Summer Reading Plan for June in your inbox early next week!